Logistics tracking and management has a significant role to play in every business, as they form an integral part. 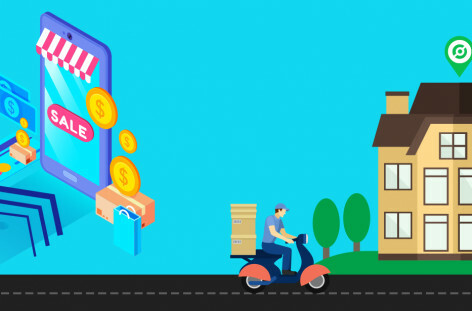 With the increase in the size of business, the number of customers, delivery agents, vehicles also increases with time, giving rise to the need of a logistics tracking management software in order to track down the number of agents or track deliveries and the logistics. Small companies, as well as well known enterprises, often tend to neglect the various activities that help in tracking and managing the system of the company. Companies often tend to forget the importance and significance of the use of a simple yet effective logistics tracking management system. 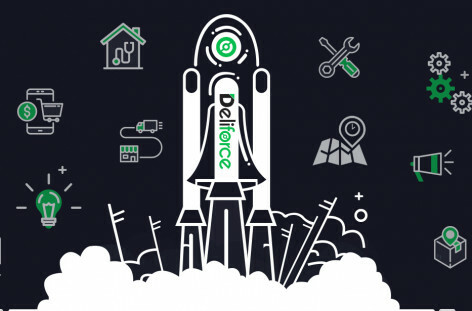 Deliforce offers one of the best Logistic tracking management software and courier parcel delivery management system, that helps in tracking logistics, along with workforce management, agent tracking, and fleet management. The wide range of advantages that are offered by the logistics tracking management software is listed below. Since logistics and transportation takes a lot of importance in any business, hence its optimization needs to be given adequate importance as well. The logistics tracking management software helps in the optimization of transportation since all records related to each vehicle, such as start time, distance covered, fuel consumed are all kept in record. Valued resources such as the logistics are used with optimization, thus ensuring longer use. The logistics tracking management system does not guarantee faster delivery but ensures monitored delivery, thus facilitating the overall process by getting an insight regarding the causes of delay or any foul play, causing delayed or failed deliveries. The admin can optimize the travel route of the logistics using route optimization. This ensures that the vehicle travels using the most optimized routes thus saving time and money and ensuring faster delivery with a lesser usage of fuel. The admin can plan the delivery of the goods in the most optimized way, thus offering the best route guideline to the delivery boys. Human error is minimized to a significant extent with the use of logistics tracking management system. The admin can assign the task in a bulk to all agents and drivers and track each of them, whether as individuals or as a fleet of vehicles traveling to various locations all around the world. The real-time tracking also helps in minimizing human error, as any missed delivery can be explicitly informed and notified to the drivers. Optimization of the cost is the biggest advantages that a logistics tracking management software offers to a business. This is because, every step in the delivery system can be monitored and tracked, offering a better clarity and transparency to business, irrespective of the industry that uses the logistics tracking and delivery management software. The logistics tracking management system bridges the gap between the admin, agents and the customers with real-time tracking, sending notifications to all, bulk task assignment, real-time estimation, thus connecting the admin with the agents and updates the customers regarding their delivery status in real time. 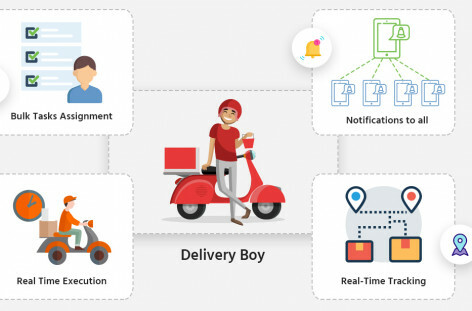 Read more: Why delivery boy tracking feature is important to ecommerce apps? Logistics tracking management software are an undeniable part of any business that involves workforce, delivery or appointment. These categories include a wide range of industries including courier delivery, online food delivery, retail, e-commerce, education, healthcare, beauty salon and spa, pharmacy, banking and finance, manufacturing, real estate, and many others. Logistics tracking management system indeed accelerates seamless business and operations.